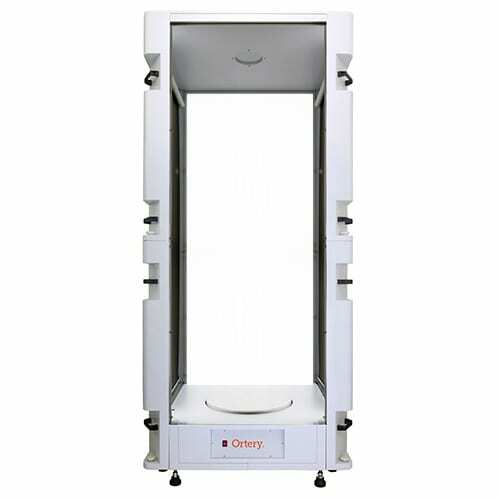 Ortery Technologies, Inc. is proud to announce that the weight capacities of PhotoCapture 360 M, PhotoCapture 360 L, and 360 turntables inside the Photosimile 330 and Photosimile 430 product photography studios have all been increased. Now users can take advantage of a larger weight range to capture 360-degree product shots and 360 videos of even more products. Now Holds Up to 600 lbs. Now holds up to 300 lbs. 360-degree product shots offer customers the benefit of a clear and visual understanding of the product from every angle. Ortery systems provide both GIF and HTML5 output for 360 product shots that can be viewed on both desktop and mobile devices. Customers can capture up to 720 high-resolution images per rotation with each Ortery 360 turntable. 360 product shots can be customized with hotspots, annotations, and magnification. Users can even add the ability to share the 360 product shot on popular social media platforms like Facebook and Twitter. 360 product videos allow a smooth rotation and more frames per second than an animation. With an Ortery turntable, you choose the content you want to create. Can’t decide? Create both! Companies use Ortery 360 turntables to photograph items in just about every industry. Ortery’s turntables range from being able to hold 5 lbs. to 1,300 lbs. They come with and without lighting and with platforms of all types and sizes, including their patented edge-driven, transparent turntables. Each can be used to create professional product shots, 360-degree product shots, 360-degree videos, 3D product shots and more. Images, videos and 360 / 3D interactive content created with an Ortery turntable can be automatically saved to the web for immediate online hosting, embedding in websites and sharing by email with SAAS Photo (www.saasphoto.com). Hosting plans start at $10 and customers can receive a one-month free trial to see if it makes sense for their business. Ortery Technologies is the world’s leading manufacturer of product photography solutions and product photography software. Constant innovation and improvements are what keeps them ahead for the pack.